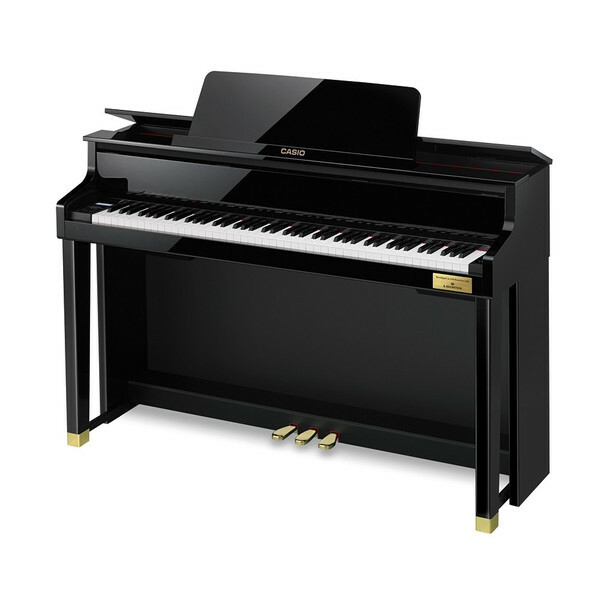 The Casio Celviano GP500 Grand Hybrid Digital Piano is made with 88 full-length, wooden keys for ultimate authenticity. 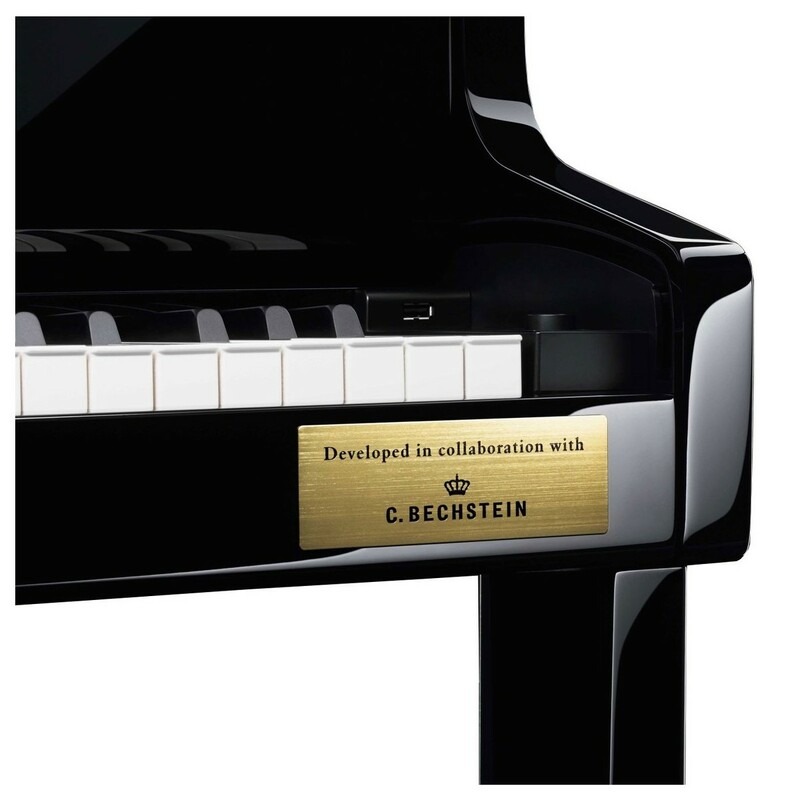 Capable of producing the most subtle nuances of the world's most respected pianos, this revolutionary new model combines the technological expertise of Casio with the tradition and craftmanship of C. Bechstein. 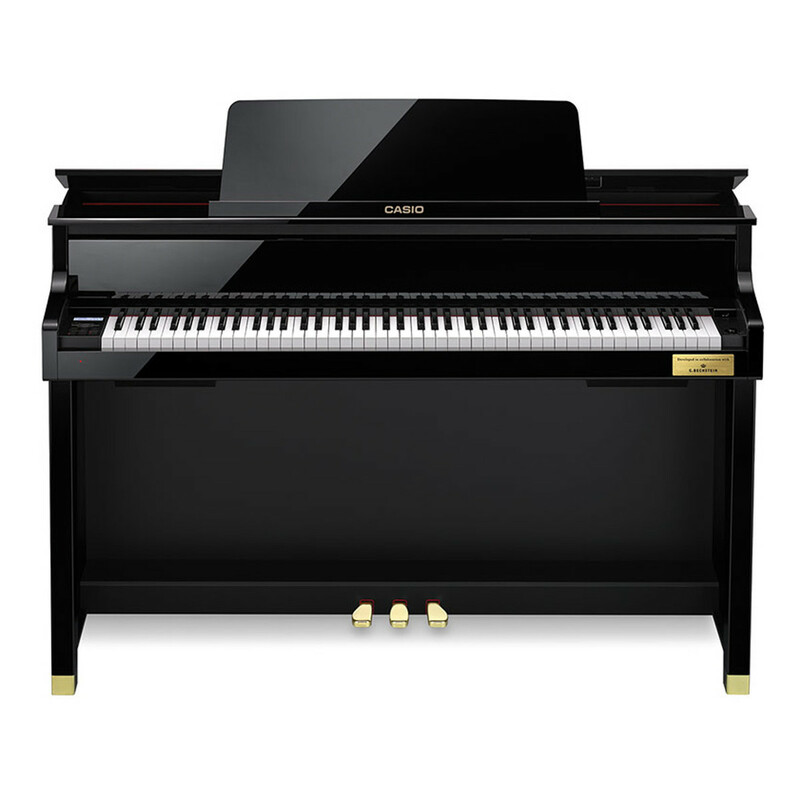 The Casio Celviano Hybrid Grand GP-500 offers three main piano sounds based on three renowned concert grands, as well as 35 other built-in tones. 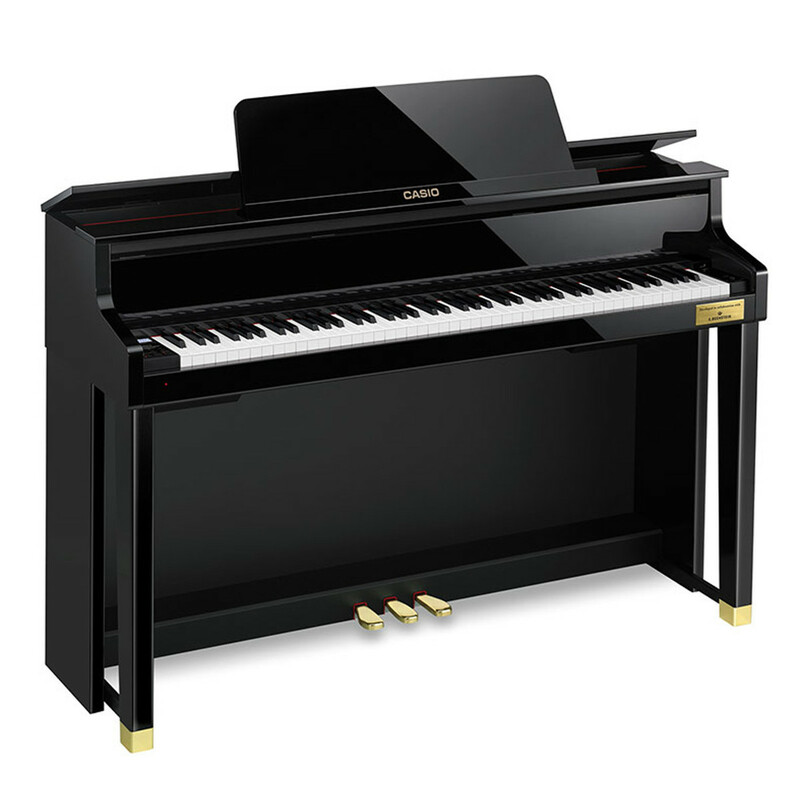 In developing this innovative digital piano, Casio have created an instrument that would thrill even the most demanding and traditional pianist. The GP500's new Natural Grand Hammer Action keyboard retains the authenticity necessary for classic performance, thanks to piano keys that feature the same full length wood used as the C. Bechstein concert grand pianos. 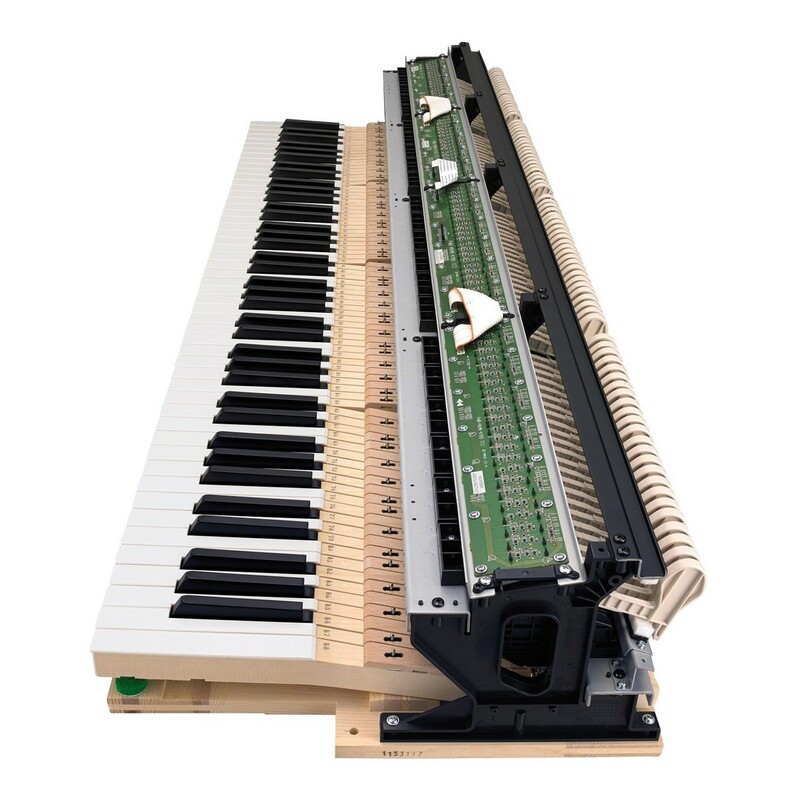 The GP-500 shares a grand piano's keypress format by sending the hammer along a vertical path, delivering a true, whole touch that puts the GP-500 at your fingertips. The GP500's Grand Pedal System can detect subtle changes with the performer's foot pressure, and adjust accordingly to greatly increase the tonal wealth. Furthermore, this can be customized to the player’s own preference, not only further expanding possibilities but keeping them to a unique spectrum of preferable settings. The GP500’s Pedal Action Noise will even produce subtle sounds of the foot pedals operation, further refining the sound to identify with an acoustic grand piano. 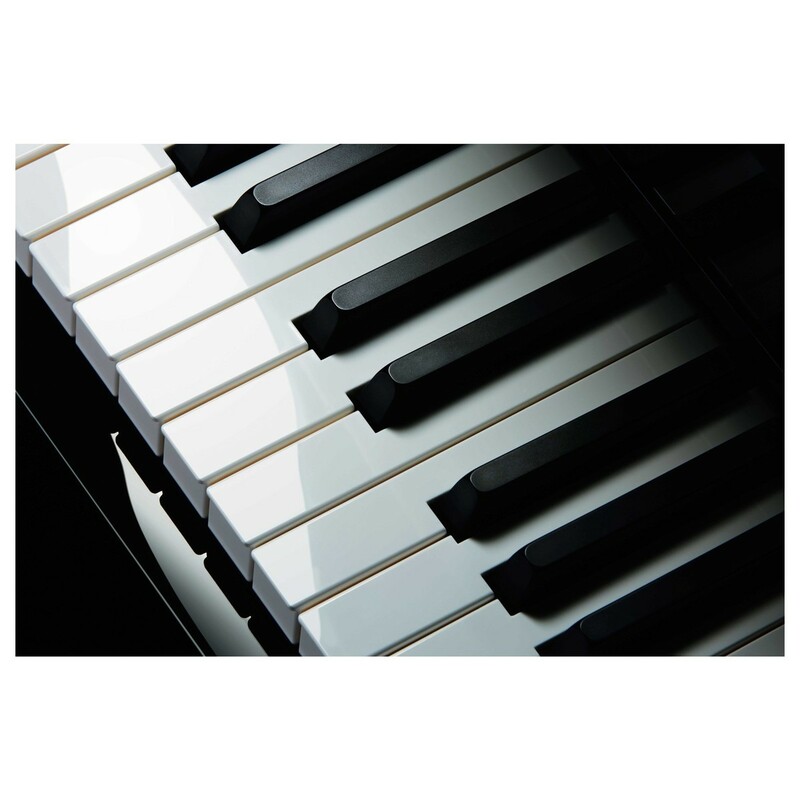 Multi-dimensional Morphing technology is also featured, allowing for each keystroke's volume and tone to decay in a natural, organic fashion, all dependent on how the player presses each key. 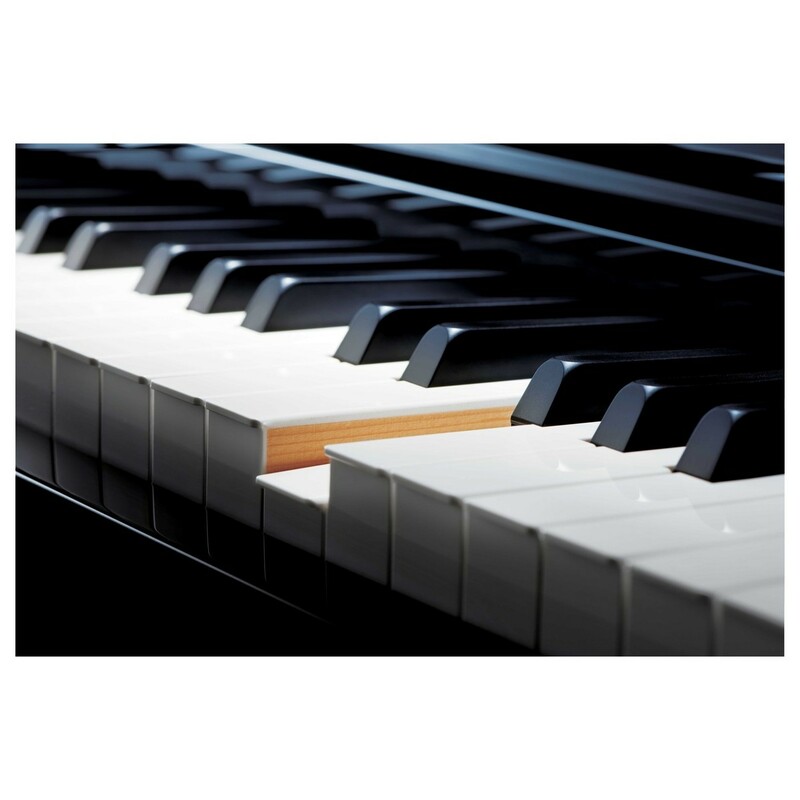 The Resonance System can also be used to pick out harmonic relationships that coordinate between separate notes, allowing for additional likeness to the sounds of an actual grand piano. The GP500 allows for aesthetic customization thanks to an Adjustable Lid Position. The adjustments made not only affect the design to the player's own preference, but also change the position of the two top speakers to adjust the sound direction. The Lid Simulator can then take effect by acknowledging the lid position, and altering the sound to mimic that of an acoustic grand piano's.